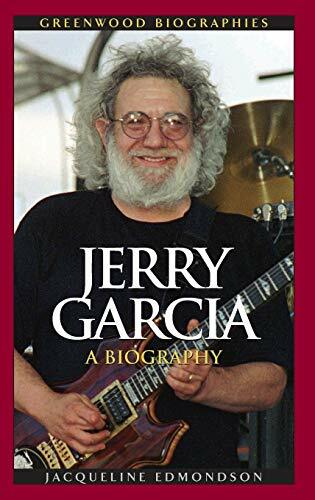 This biography offers students and general readers an insightful look into Jerry Garcia's creative genius as a founding member of The Grateful Dead and the various influences on his work as he contributed to the countercultural movement in the United States. As a founding member of The Grateful Dead, Jerry Garcia became famous for his work as a key creative force in this band. Known for free flowing jam sessions, psychedelic drug use, and a loyal fan base, The Grateful Dead combined a variety of genres, including blues, folk and country rock to create new and different sounds than those used by other popular bands at the time, including The Rolling Stones and The Beatles. Garcia contributed significantly to an era in American music that was influenced by social changes, war, and political strife. Yet Garcia's creative genius expanded beyond the fame that came as lead guitarist and vocalist for the Dead. From the time he was a young boy learning to play the piano in the Excelsior district of San Francisco, Garcia explored various genres and forms of music and visual art. This biography offers students and general readers an insightful look into Garcia's creative genius and the various influences on his work as he contributed to the counter-cultural movement in the United States.